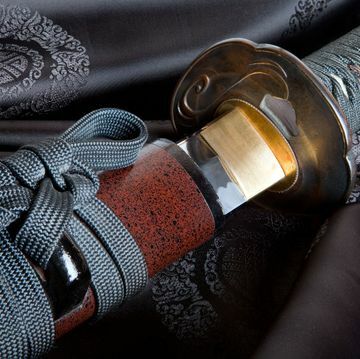 BURBANK, CA – The Martial Arts History Museum will be hosting a lecture and presentation of Japan's most historic and deadliest weapon, the Samurai Sword. Sword expert Rafael Kosche, who has been featured on The History Channel, A&E, Ancient Aliens, Auction Kings and more, will be the guest presenter for the evening which will take place on Saturday, April 19 at 4 pm. Kosche has conducted numerous seminars which includes how the sword is made, the facts about Japanese metallurgy and how to tell the difference between an authentic sword or just a piece of metal. “The Samurai Sword seminar is by far the most popular seminar for the Martial Arts History Museum. It is so popular visitors have traveled as far as San Luis Obispo, San Diego and Mexico just to learn about the sword,” says museum president Michael Matsuda. “The Samurai Sword is not only one of the most popular weapons in history, but it is also the most copied and faked sword as well. I want to encourage everyone to bring in their sword so that I can advise them if they should go forward with an appraisal or just use it for decoration,” says expert Kosche. Kosche, who is also owner of Valley Martial Arts Supply store, has provided the weaponry for such films as Kill Bill, the Last Samurai and many more. “You don't find an opportunity like this very often, where an expert would give of his time to reveal the details of the sword, plus provide an understanding of the sword so that you won't be fooled by someone trying to pawn a cheap sword on you,” say Matsuda. The Samurai Sword seminar will be held at the Martial Arts History Museum, 2319 W. Magnolia Blvd., Burbank, CA 91506. Cost of the event is only $10 plus visitors get to enjoy the Museum. For additional information, visit Mamuseum.com or call (818) 478-1722.